Gor Mahia chairman Ambrose Rachier has confirmed that Algerian club Club Sportif Constantinois are interested in signing Kenya international Francis Kahata. The wideman was impressive both for club and country during the 2018 campaign as he led Gor Mahia to the CAF Confederation Cup group stage by scoring the all-important away goal against Supersport United. He has also been a key player for Sebastien Migne's Harambee Stars as the team edges closer to qualifying for 2019 Africa Cup of Nations. Gor Mahia have confirmed that they have parted ways with English coach Dylan Kerr, who led K'Ogalo to two consecutive Kenyan Premier League titles. The manager travelled to England with the team for last week's Sportpesa Cup clash against Everton at Goodison Park, but didn't return to Kenya with Gor amidst a health scare. The club confirmed in a statement on Thursday that Kerr had handed in his resignation and would not be returning to Kenya. Gor Mahia CEO Lodvick Aduda is concerned about the absence of head coach Dylan Kerr, who has gone AWOL since the Kenyan champions' exhibition match against Everton earlier this week. Kerr was on the bench as Gor were defeated 4-0 by Everton in the SportPesa Cup at Goodison Park earlier this week, but didn't return with the team from England on Saturday. Everton's fringe players ran out comfortable 4-0 winners over Kenyan giants Gor Mahia in the Sportpesa Cup final at Goodison Park on Tuesday. Anglo-Nigerian wonderkid Ademola Lookman opened the scoring in the 15th minute, before Kieran Dowell - who scored in last year's meeting between the two sides - added a second eight minutes later. Lookman could have had a second early in the second half after a mazy run, but his effort was cleared off the line by Uganda defender Shafik Batambuze. Netflix to chill? NBA for game night? Need to scratch the gaming itch? Want your food to go from flop to the top? Budding techie? 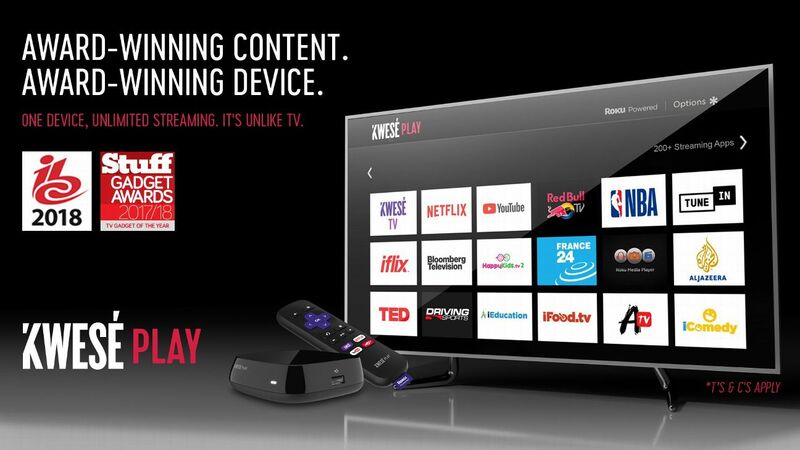 With over 200 apps, there's something for everyone on the Roku Powered Kwesé Play device. One device, great price, unlimited content. It's Unlike TV. Click here for more info on Kwesé Play. Uganda defender Shafik Batambuze is relishing the prospect of playing in front of an English crowd when Gor Mahia face Everton in the Sportpesa Cup clash at Goodison Park on Tuesday. Batambuze, who signed for the Kenya Premier League champions in October, is part of the squad that travelled to England on Friday.